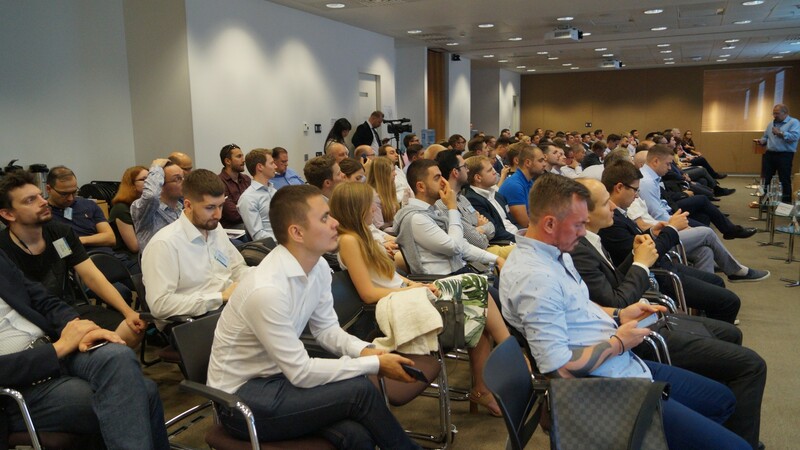 On June 28, CFA Association Russia held its last professional event before a summer break. 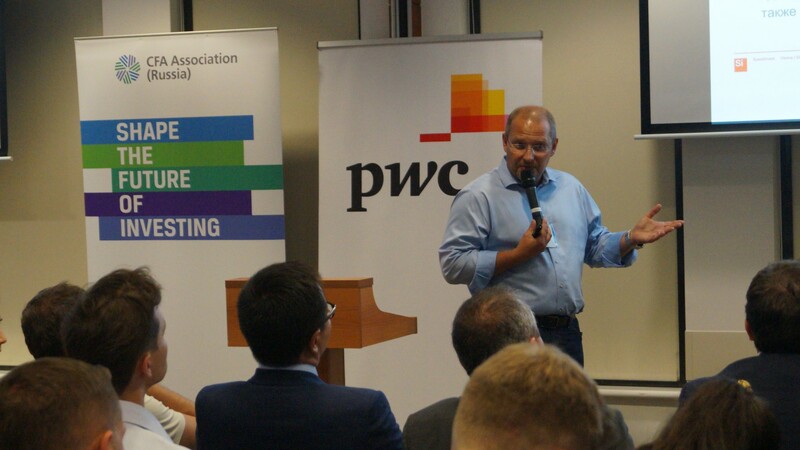 Themed around investment opportunities into venture capital (VC), the event gathered around 100 guests and was organized together with PwC and Harvard Club of Russia. 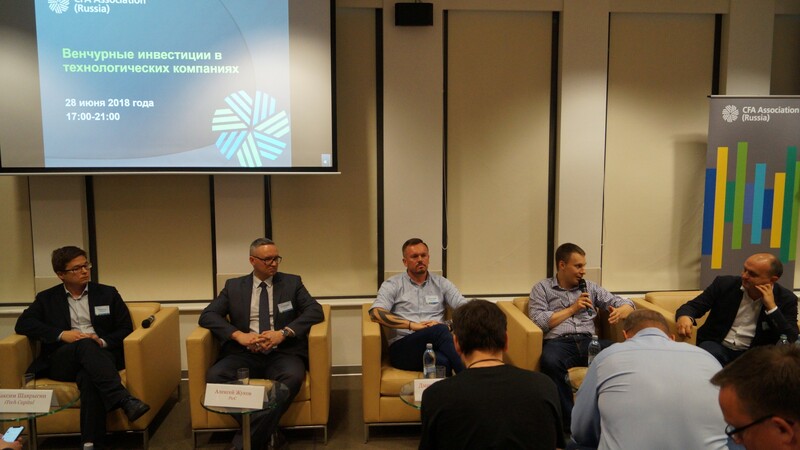 The first part of the evening was a presentation by Dmitry Alimov, the founder of Frontier Ventures, and Ilya Dubinskiy, partner at Speedinvest. The two experts discussed the differences between the VC markets in the United States and Europe. It may come as a surprise to some but despite having a similar-sized economy to the United States and even a larger population, the European Union (EU) is far behind when it comes to a VC activity. According to the speakers, this fact is due to several reasons, including a three decade head start of the US venture capital industry on their European counterparts and a more risk-seeking behavior of American entrepreneurs. For decades, Silicon Valley has been the hub of the brightest minds and investors from around the world, contributing billions of dollars to the American VC industry. However, Dmitry and Ilya said that slowly but surely European venture capitalists are becoming more active and soon the gap between the both sides of the Atlantic may close a bit. Another important player in the world of venture capital is, of course, China, which is also working toward increasing its role. China, however, presents a series of challenges for Western investors due to its harsh regulatory laws, the speaker pointed out. Following the first presentation, the event proceeded with a four-person panel discussion with Maksim Shavrygin, a managing partner at iTech Capital, Dmitry Smirnov, a partner at Flint Capital, Dmitry Galperin, a partner at Runa Capital, and PwC’s Alexey Zhukov. The four experts gave an insight into the industry and shared their personal experiences working around the world. Everyone agreed that when it comes to VC, companies should look toward the international market as opposed to focusing on the Russian market only. “From the get go we try to attract foreign investors scaling our business outside of Russia,” said one of the participants. From left to right: Maksim Shavrygin, Alexey Zhukov, Dmitry Smirnov, Dmitry Galperin, and Andrey Shpak, a moderator of the discussion. When asked about key factors of success, the speakers agreed on three things: effective networking, one’s reputation, and experience. “You should always try to improve these three skills,” said Dmitry Galperin.